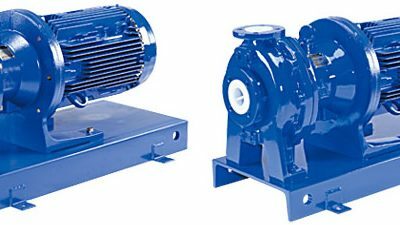 The pumps of the MXM series complete the range of process pumps and thus offer an additional choice in the range of centrifugal pumps with magnetic drive. The new MXM series offers the technical characteristics needed for a chemical pump, such as corrosion resistance, durability and safety. 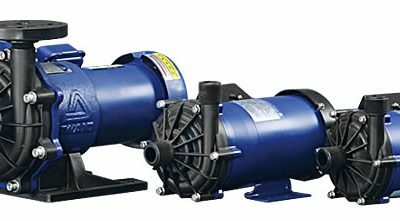 The MXM series pumps complete the range of process magnetic pumps and enable IWAKI to offer an additional choice in its range of centrifugal pumps with magnetic drive. The “no contact” system and the “radial flow” construction improves dry running resistance and operation at low suction conditions. 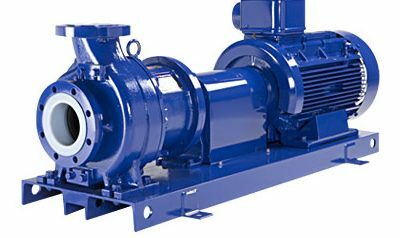 as conventional centrifugal pumps magnetic drive, the MXM series is scheduled to avoid contact with the bearing backstop during operations or dry air to the suction inlet. Thanks to this system, the risks of friction and heating with the melting of plastic materials are eliminated. The principle of the radial movement of the magnetic pump allows circulation of the liquid between the shaft and the bearing through holes in the turbine and the magnetic capsule. This prevents heating due to friction between the shaft and bearing. As a result, thermal deformation is avoided. 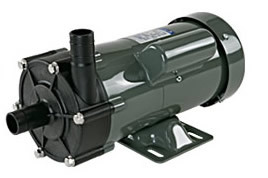 The series of magnetic pumps MXM employs optimum corrosion materials such as ETFE reinforced carbon fiber (CFRETFE). High quality ceramic and carbon are used for the parts coming into contact with the liquid. The most appropriate turbine size and engine power can be selected according to the properties of the pumped liquid. The body forward CFRETFE a reinforcement iron. The assembly is intended to withstand high stresses for use in cement process. 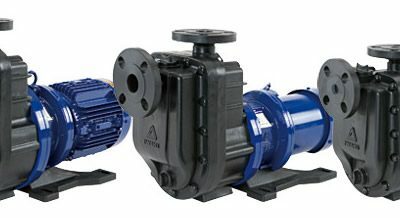 The rear body of the magnetic pump MXM features a unique design in its manufacture to resist deformation. A reinforcement of rear body makes it possible to increase the resistance to the hydraulic pressure and the mechanical forces on the support of the axis. The safety is thus reinforced by preventing the deformation of the rear body and the leakage of liquid.